Friends, I'm taking our search for Scottish Terriers around the world (and across the United States) up a notch. 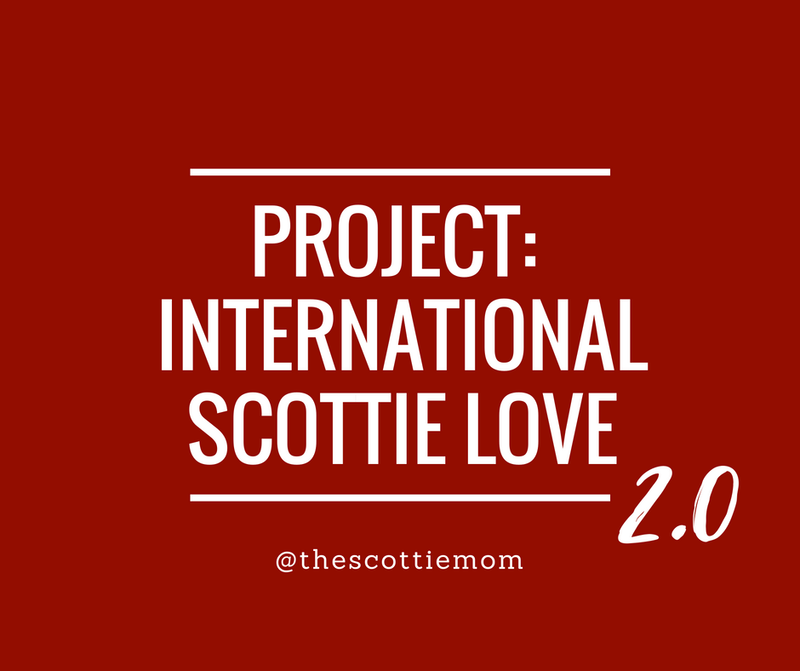 I'm calling it Project: International Scottie Love 2.0! 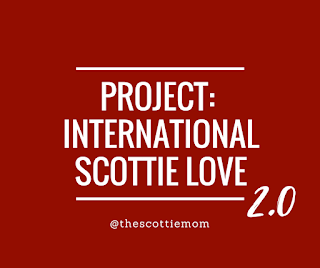 As part of a special series of projects I'm working on for your entertainment, we'll be selecting Scottie ambassadors to represent their countries and states. These ambassadors will be chosen for special features here on the blog. Additionally, at least one from each country will be selected for inclusion in our upcoming e-book publication Scottish Terriers of the World. We'll do the same for the Stateside Scotties as well. Want a chance for your Scottish Terrier to serve as an ambassador for their terrier-tory? Sign up to receive email updates and look out for details on how to nominate your pup set to arrive just a few days after you subscribe. Already a subscriber? Great! You'll be among the first to receive the 411. 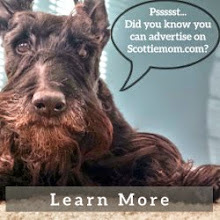 Also, if you haven't already, post a photo of your Scottish Terriers on the Scottie Mom Facebook page and let us know in which country or state you live. 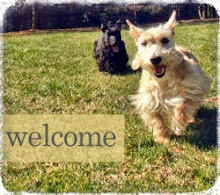 These photos will be included in our International Scottie Love or Stateside Scotties photo albums. Thanks for sharing the Scottie love!